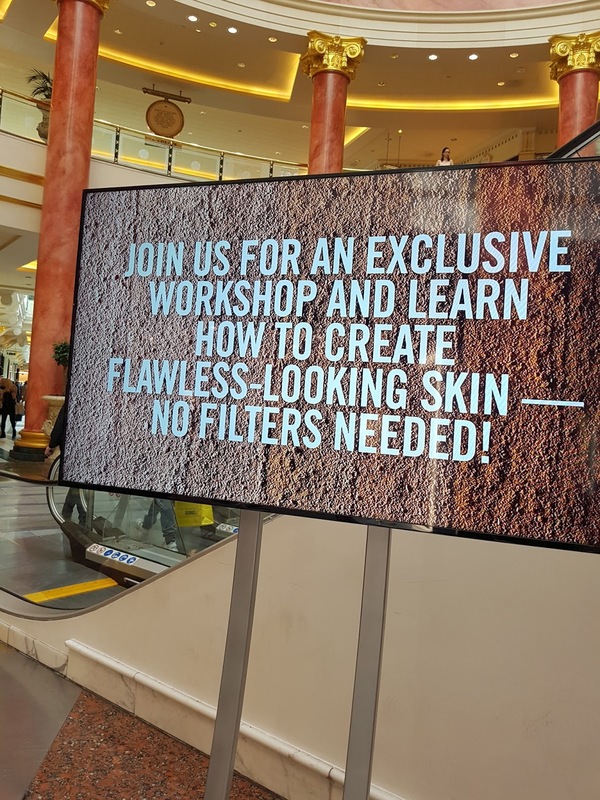 Say the words "Make up Masterclass" and I will be there. 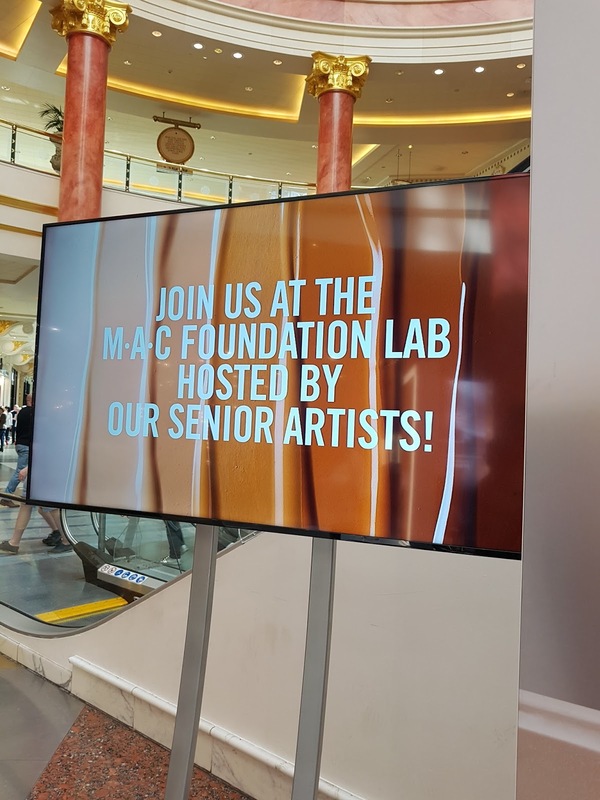 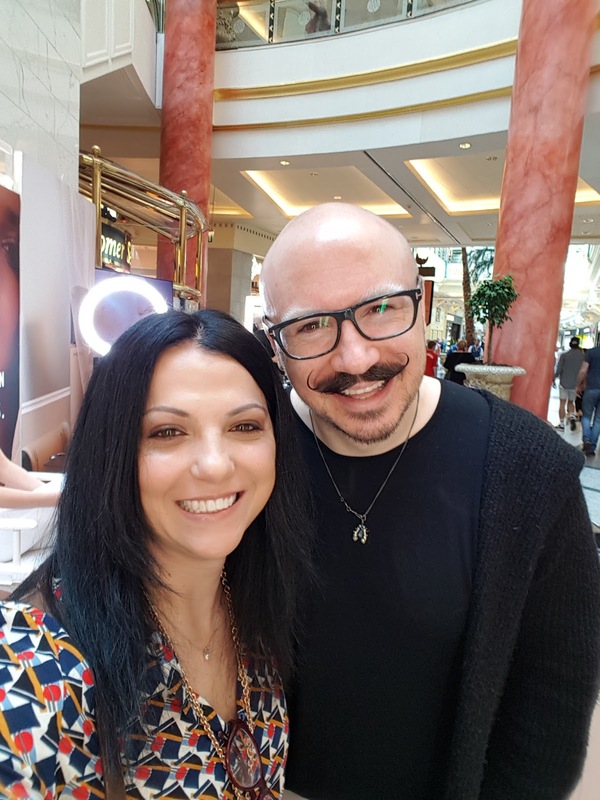 If the said masterclass is a Mac one held in Selfridges by the Senior Make up Artist Dominic Skinner, well I will be faster than a bolt to secure my place. 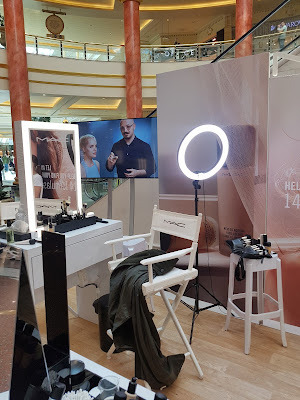 Mac Next to Nothing masterclass took placed few months ago in different locations all over Uk. 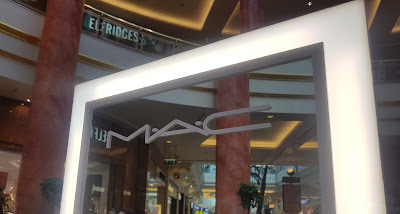 I attended the one in Intu Trafford Centre, where a big Mac counter was situated in one of the main halls. 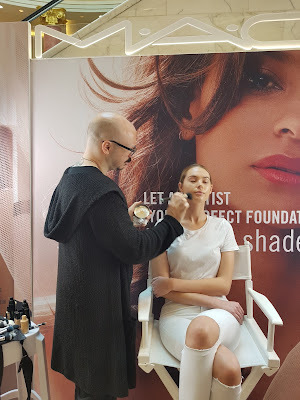 The aim of the live demonstration was to teach us (lucky girls!!) how to achieve a flawless and natural base, Dominic was working her magics on the model whilst we were helped by a Mac MUA to do our make up. 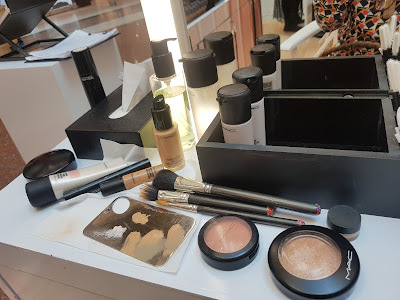 He went through every step of the process, from preparation of the skin to creating the perfect immaculate base that works as a solid canvas for every make up you intend to create. We all know how important is prepping the skin before appying make up, well this masterclass showed me how to do it much better than I actually used to do before. 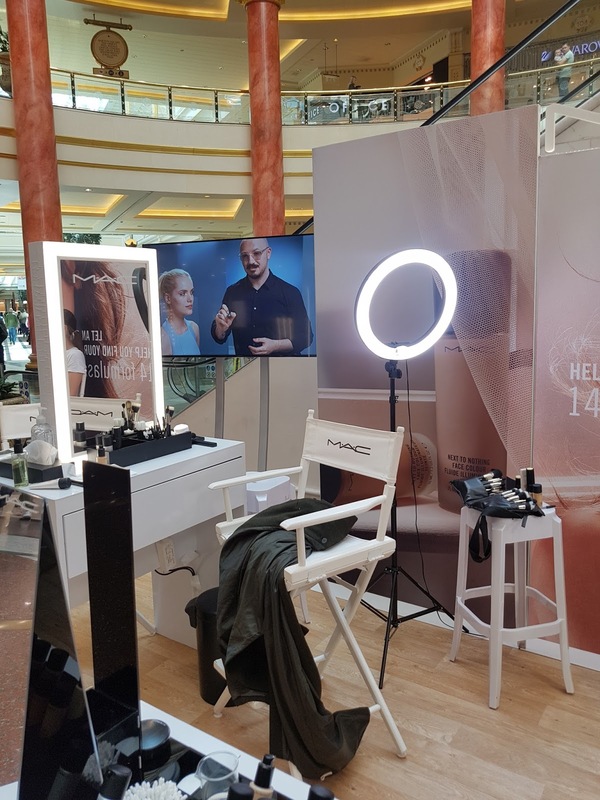 He started with 2 very familiar Mac products, a spritz of dear old Prep+Prime Fix Plus, followed by a generous layer of the Strobe Cream. At this point, I tired something new for me, the Prep+Prime Essential Oils Stick. 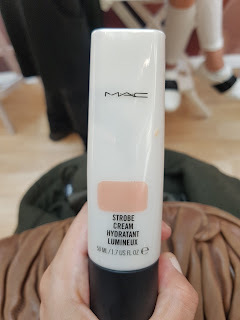 I applied this balm in the driests areas of my face, lips included and it really worked to improve the application of the foundation and concealer. Little trick Dominic shared with us: apply the primer but before starting with your foundation, wait 5 minutes. Brush your teeth, have a cup of tea, read the news, do whatever you want but just give it a bit of time to completely sink in and set into your skin. As you all know, Mac produces a vast variety of foundations. 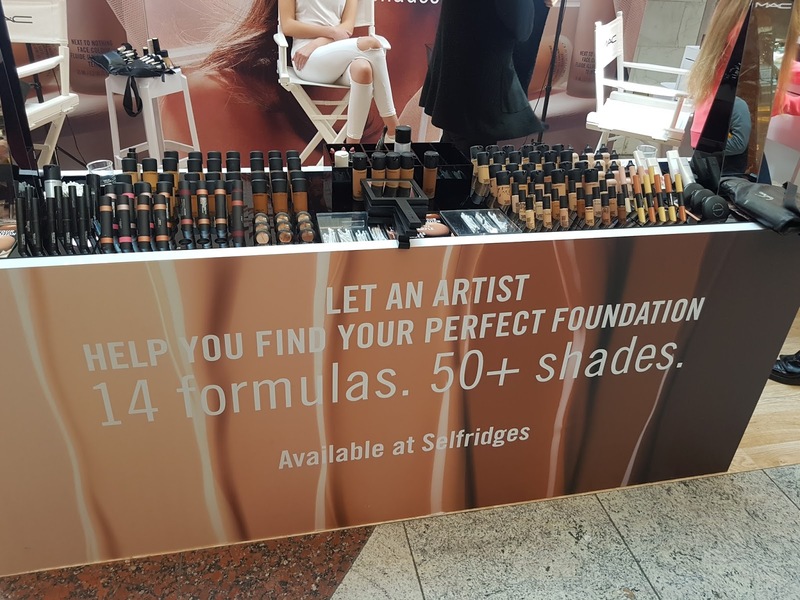 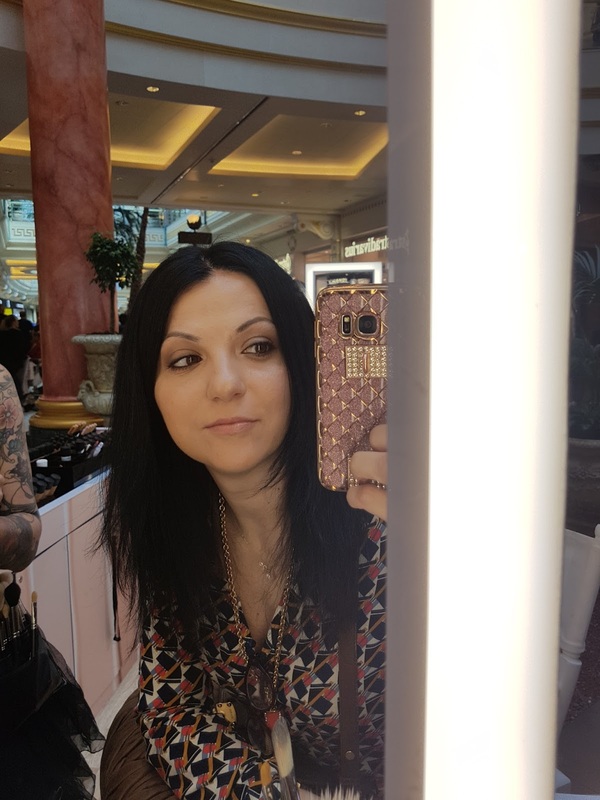 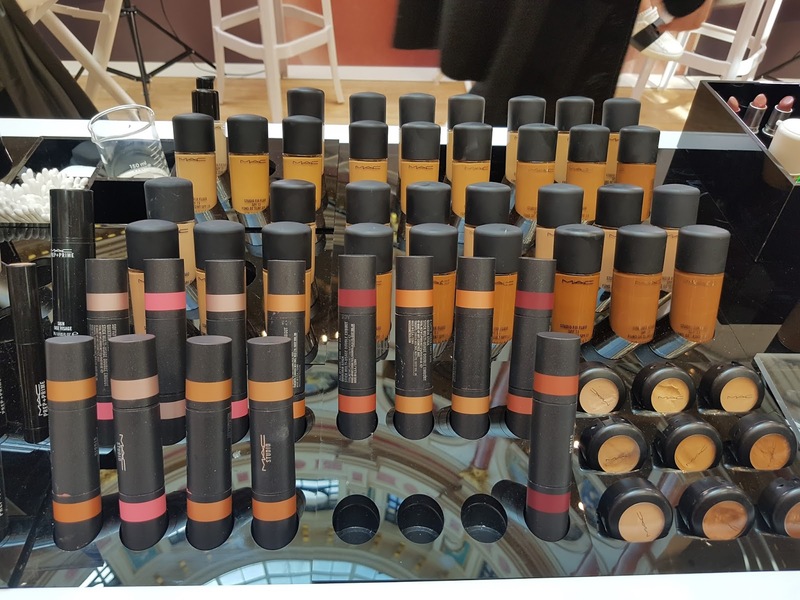 If you are in doubt about shade and formulation, you can go to any Mac counter where you will be colour matched and you can even ask for a sample to try. I went for an old friend of mine, ah Studio Fix Fluid, I have used this foundation for years and years and still love the way it blends and offers full coverage thanks to its buildable effect, applied with a Mac 187 brush. 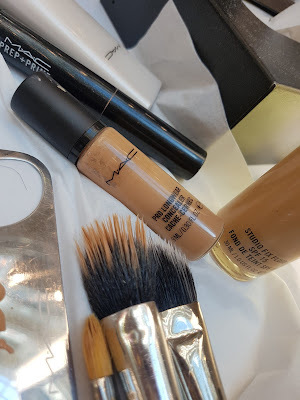 Now, the most interesting part for me was finally trying the Pro Longwear Concealer . So many people have raved about it and finally it was my turn to try it. 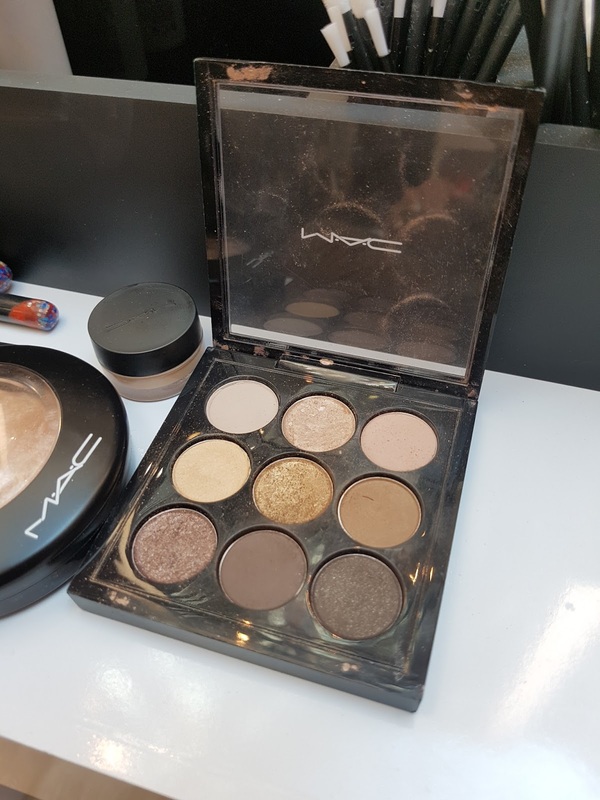 Dominic suggested to use a peachy colour for the undereyes areas to neutralize the dark circles and a lighter shade for the rest of the face to highlight. 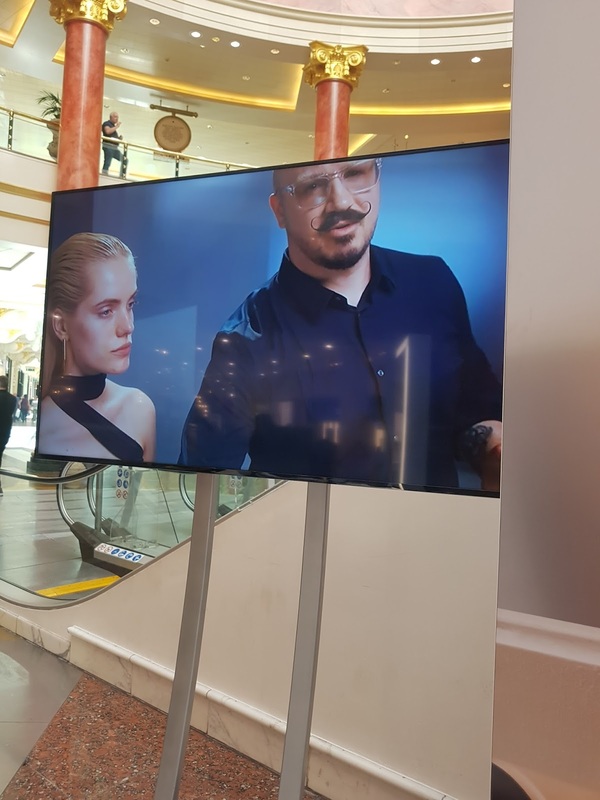 Another Dominic's trick: look at yourself in the mirror, strainght into your eyes. 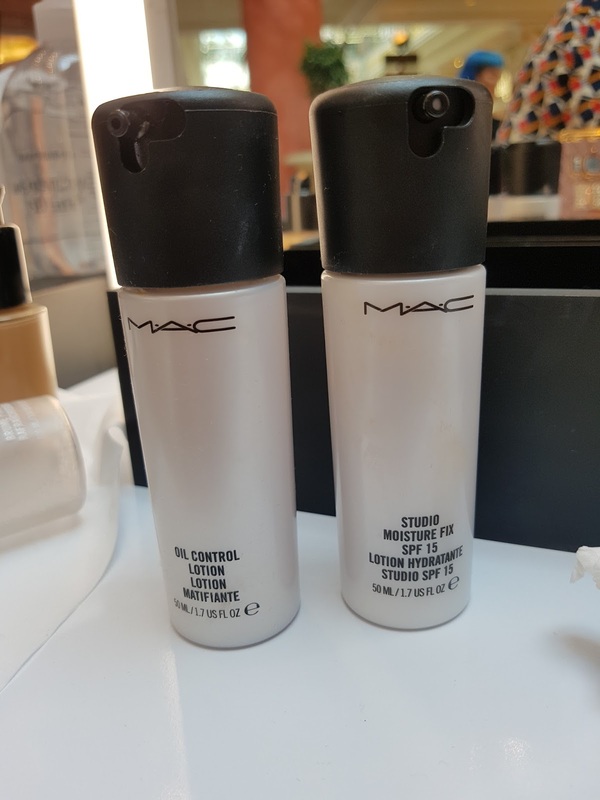 The rule is "if you see it, conceal it"! 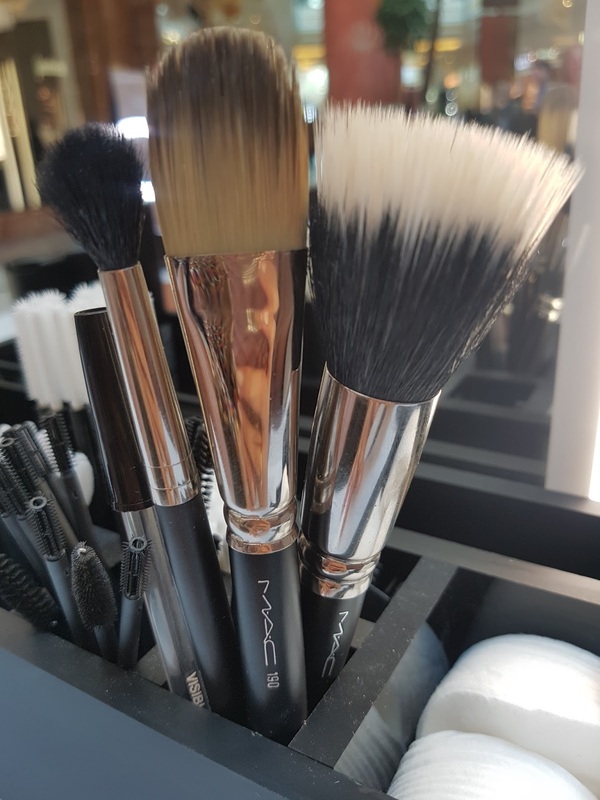 this means that if you see a spot, a pigmentation etc in the mirror when you are not even looking at it, well go down with that concealer! 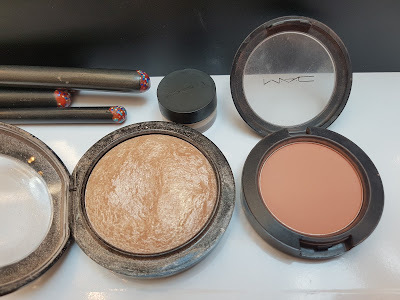 To finish everything off, everything was set it with Mineralize Skinfinish and considering I was going to spend the rest of the afternoon in the Traffor Centre, my make up was completed with a touch of Powder Blush in Melba (most beautiful dusty pink ever) and Eye Shadows x9 in Amber Times Nine. 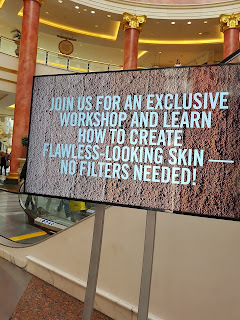 So what have I learnt from this masterclass? Well first of all is that if Dominic Skinner is in town I have to be there cos he never fails to impress me. 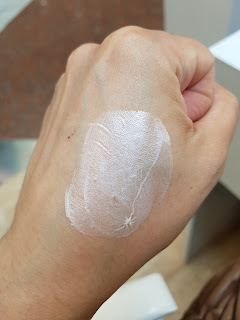 Second, I touch with hands how important a perfectly prepped skin is and how it can make a difference in terms of the final effect of my make up. 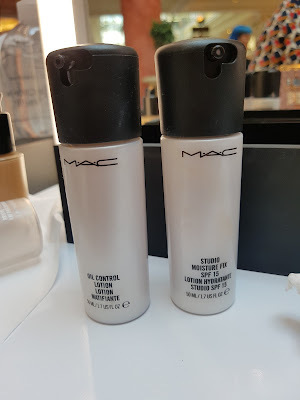 I had to buy the pro Longwear concealer after the masterclass and I have used it every day since, it has a full coverage effect and you only need the smallest ammount. 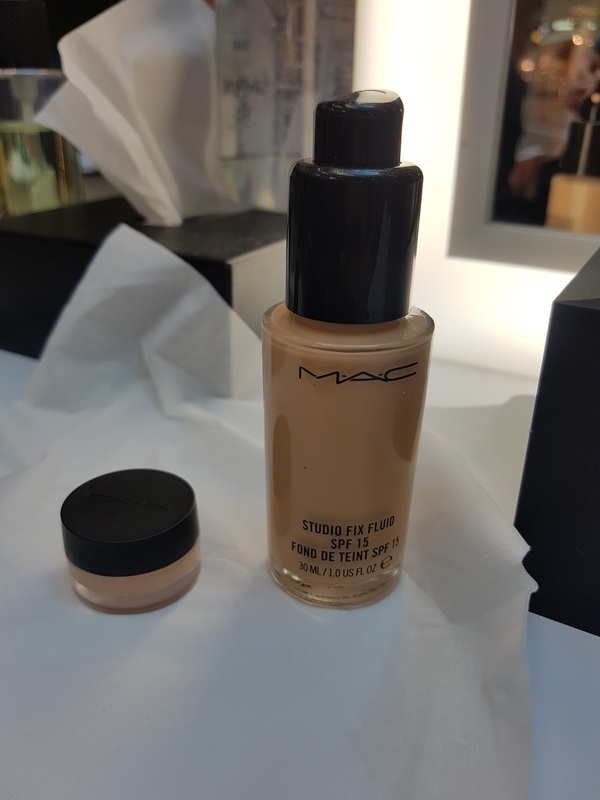 If you feel the need to have some taylored advices regarding how to reach a perfect base, I can suggest you pay a visit to any Mac counter (my favourite one is in House of Fraser) and you can get your foundation sample too!